Do you hate the idea of self-promotion? Do you tell yourself that you’re not good at it? That you shouldn’t have to do it? If you hate self-promotion, or even the prospect of self-promotion, you are not alone. No matter the genre, all artists seem to share a similar aversion. Most of us are still waiting for an agent/manager/publicist to come and rescue us from the prospect of having to promote…ourselves? As artists, we have internalized certain agreed-upon stories, certain cultural mythologies that may be blocking our ability to put ourselves and our work out into the world. And since most of us agree that self-promotion is necessary, it’s worth taking a look at these stories and deciding whether perpetuating them is serving our art and our careers—or not. If we were running a company, a large portion of our budget would go to marketing, right? If we were selling shoes, our livelihood would depend on us getting out there and selling some shoes. 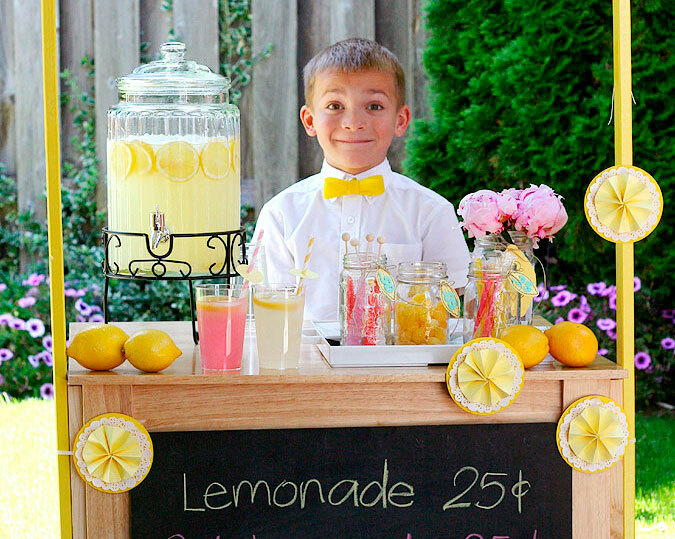 Even if we were running a lemonade stand, we would understand that, in order to sell lemonade, we would need to make signs or hire neighborhood kids with megaphones to let people know that lemonade is available. If no one knows about our lemonade, then no one will buy it no matter how fantastic it might be. But when it comes to our art, we’ve swallowed a toxic “starving artist” story, which tells us that we’re probably not going to make any money at this, anyway, so we don’t take the task of promotion seriously. In fact, most of us would probably do a better job promoting the lemonade than we would the art that we have poured our blood and souls into. It’s crucial to realize that if you want to make a career out of your art, then you have gone into business—with yourself. I am now the CEO of Nancy Stohlman, Inc., and my product is my work. If no one knows about my product, they can’t buy it. And then I am out of business. But as long as we are stoking the starving artist story, then we’re going into the game already defeated. If we believe we cannot make a living out of our art…then we probably won’t. This is the story of the mythical artist who is catapulted into fame from obscurity with no promotional effort of their own. While this mythology is exciting, and the media loves to dangle it as some warped version of the American Dream, it’s also a bit like expecting to win the Powerball. This overnight success story is a darling of artists and runs deep in our culture. But if you look carefully behind most successes, you will usually find a different story. Madonna made hundreds of demos with her own money and personally brought them to every DJ in New York City; Truman Capote sat for 8 hours a day in the lobby of the publisher who refused to see him. Even Rosa Parks, our favorite little old lady who wouldn’t give up her seat on the bus and thus triggered the Civil Rights Movement, was actually a veteran activist for 15 years when she was finally delivered to the right place at the right time. Because that’s what it comes down to: “It’s not enough to be at the right place at the right time—you have to be the right person at the right place at the right time,” says musical agent Justin Sudds in his interview for “Take Your Talent to the Bank”. The truth of the overnight success story is that it is usually not overnight at all. But what’s most problematic about the Overnight Success Story is that it is ultimately disempowering because it takes the responsibility for our careers out of our hands. Our careers become like playing roulette, and we feel powerless to affect real change. And I like playing roulette, but only with what I am prepared to lose. 3. “It’s Not Polite To Brag.” This country is still influenced by our Puritan roots, and so this story is the one that often paralyzes us into non-action. But the rest of the people won’t care, and in fact they will be happy that you’ve made it so easy for them to support you and your work. It is said that a person needs to hear about something five times (yes, five!) before it sticks, and most people are happy for the reminders. Self-promotion is not bragging. It’s asking for the support we need to make the careers we want. In our everyone-for-himself society we have attached a stigma to asking for help. In order to get over this stigma, we have to remember that artists must exist in community, and in order to create and sustain a community, you have to put yourself out there with honesty and authenticity. Self-promotion is truly about asking for the support we need, and building relationships with those who are excited about us and our work. It’s the greatest thing you can do for the promotion of art outside of creating the art itself. So when self-promotion starts to feel like self-prostitution, remember: We promote our work because we aren’t okay with the mythology of the starving artist; we respect our work enough to take control of its dissemination, not leaving it to the agent fairies to rescue us; we have both the confidence and humility required to put it out there in the world and ask for support. Many of us don’t promote because we would rather fail privately than publicly We fear rejection and ridicule; we retreat into craft instead. And yes, it’s true that Emily Dickinson did no promotion. But then again, she never got to enjoy the rewards, respect, and recognition of her work while she was alive. I want more for myself and my art. And I want more for you, too.